Recycling in London Energy Recovery or Materials Recovery? 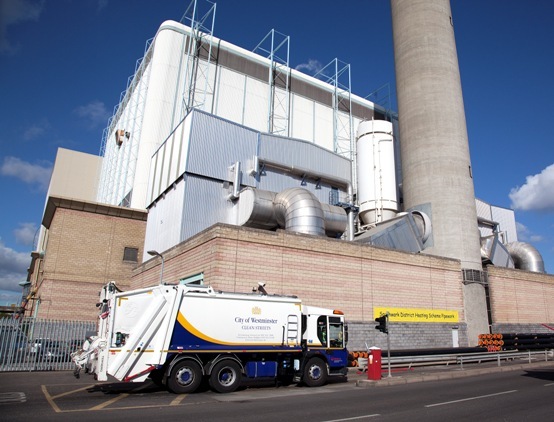 Here at Westminster City Council’s Commercial Waste Service, one of our key values is not sending any rubbish to landfill. To achieve this, we’ve used a number of innovative ways to maximise recycling in London. Waste is processed through several channels, including our Energy Recovery Facility (ERF) and our Materials Recovery Facility (MRF). Here’s a quick explanation of the differences between these two facilities, and how they support recyclable material disposal in Westminster. We’ll also touch on a few of the technologies they use to sort different waste types. Unlike old incinerators that simply burn waste, Energy Recovery Facilities use the combustion of waste to create electricity and heat. Waste that can’t be recycled or reused is taken to the energy facility and fed into a storage bunker. From the bunker, tonnes of waste is transferred each hour into the feed chute of the furnace and burnt at a temperature in excess of 850 degrees Celsius. A boiler sitting above the furnace produces superheated steam and through a steam turbine, creates electricity for the National Grid and the London Underground. Hot water also flows into the local district heating network– yet another way to maximise recycling in Westminster. Any remaining metal is separated from the ash for recycling, and the ash is used in the construction industry as aggregate. Everything has a use! The Materials Recovery Facility is perhaps the most sophisticated part of the recycling disposal process in Westminster. This facility is where mixed recycling (collected through blue bags, (wheelie) bins or cardboard bundles) is delivered. In a series of automated processes using: infrared technology, magnets, electric currents and star screens, the waste is separated out. Star screens are a series of offset star-shaped discs (originally invented by the Dutch in the ‘50s for sorting tulip bulbs) which lift out the cardboard and paper. These are sorted into different grades so that they go to the most appropriate processor. This ensures that the paper and board mills receiving them can recycle the highest possible proportion of paper fibre into new products. Glass, plastics and ferrous metal are also separated out and go to their own recycling processors. Once again, everything has a use. Coming soon: What happens to Rubbish? Look out for our upcoming infographic on how all of our rubbish collected in Westminster is processed. 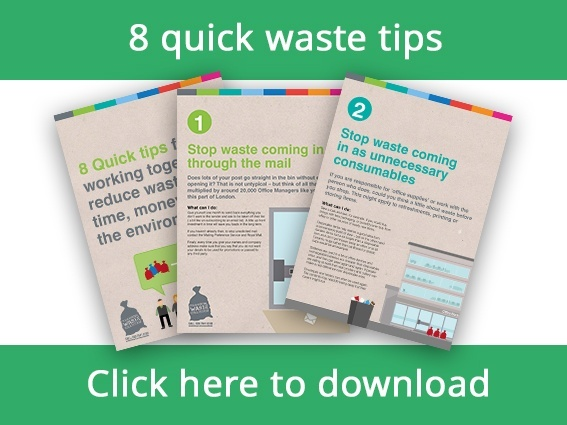 If you would like to reduce the amount of waste created then download our guide through the link below.